Description: A symbol that consists of many lines of different shapes and sizes. 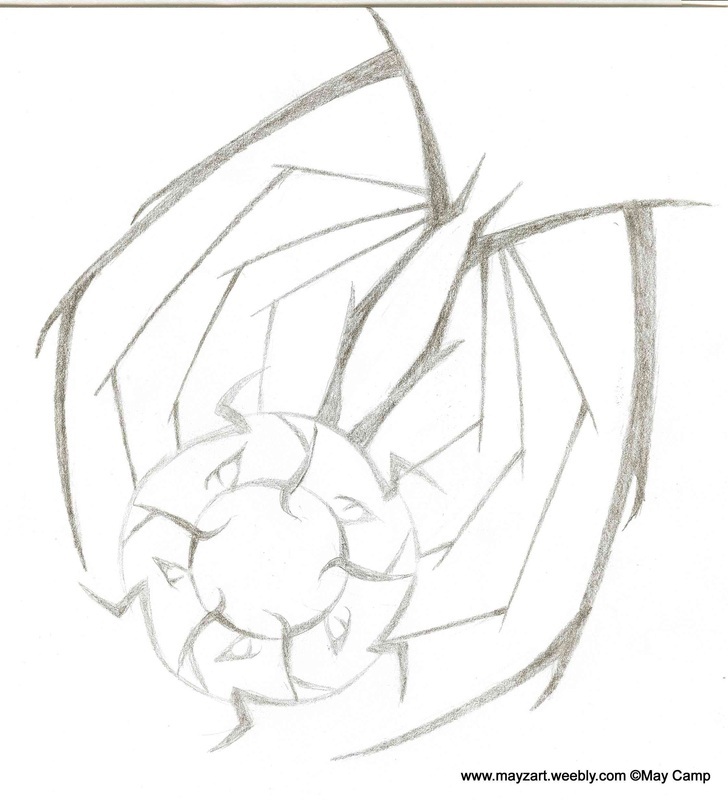 There are two circles with designs coming out of them, and on one part of the circle, there are two things that look like spiky dragon wings. Artist’s Comments: Originally, I had a story idea about a person who drew this design in the sand when he was born, and later on forgot why he drew it, and spent his time sitting inside the circle, thinking about it. Then one day a dragon came and instead of eating him, it just stared curiously at him. And that’s all that was in my story, as I never continued it or anything. This was drawn right after I read a book on drawing dragons, so the wings looked better than my old ones.